Master GDPR-compliant edu-marketing! 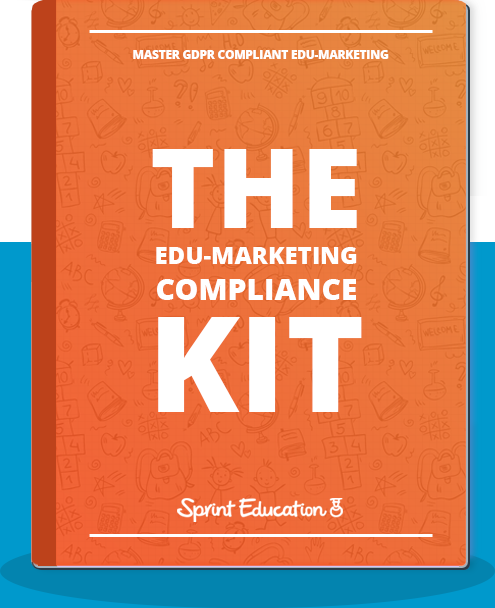 Download our free Edu-Marketing Compliance Kit by completing the form below. a collection of guides to arm you with the knowledge needed to master edu-marketing, invest your budget wisely, and understand what you must do to comply with GDPR regulations. Discover what it takes to master education marketing, understand marketing technical infrastructure, and learn the key questions to ask yourself and other agencies when spending your budget. This 27 page GDPR Impact Report teaches you how your business will be affected, what Sprint has done, what you need to do, and how to spot agencies that don't comply. Who is the Compliance Kit for? Perfect for Marketing Managers and teams looking to learn more about the education sector, how to maximise budgets, and ultimately generate more sales leads. Ideal for managers, directors, and owners looking to learn the processes and techniques that their marketing and sales staff need to implement to grow the business. Whether you are starting up a new venture, looking to raise funds for your charity, or promote your university’s course places, this toolkit is a must-read.